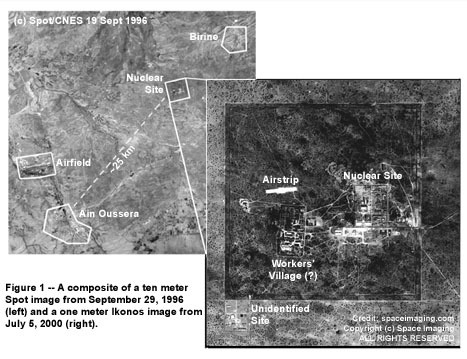 A composite of a 10-meter Spot image and a 1-meter Ikonos image of the nuclear site at Ain Oussera. 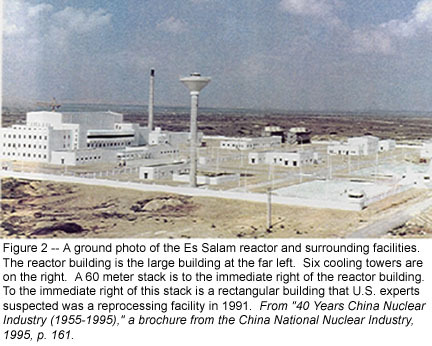 Ground photo of the Es Salam reactor and surrounding facilities. 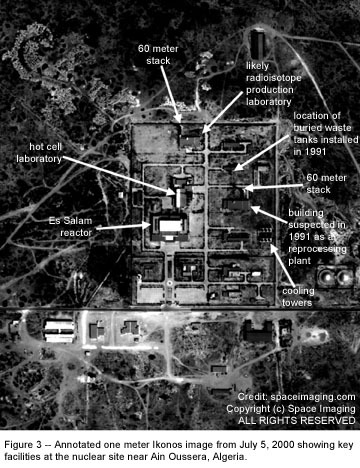 Annotated 1-meter Ikonos image of the nucelar reactor area. 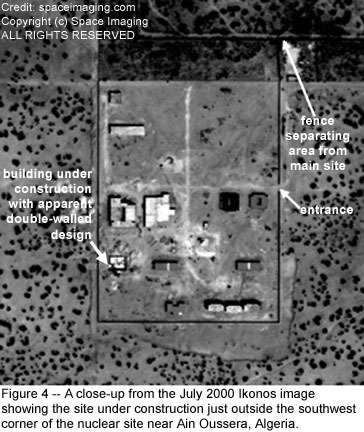 Annotated 1-meter image of an area under construction at the Ain Oussera site.